Vincenzo Antonio Petrali (1830-1889) was an important musical figure of 19th century Italy. He was a highly gifted organist, pianist, violinist, conductor, composer and teacher. A virtuoso organist and improviser, he wrote a large number of organ works, specifically for use on the newly built Italian organs. 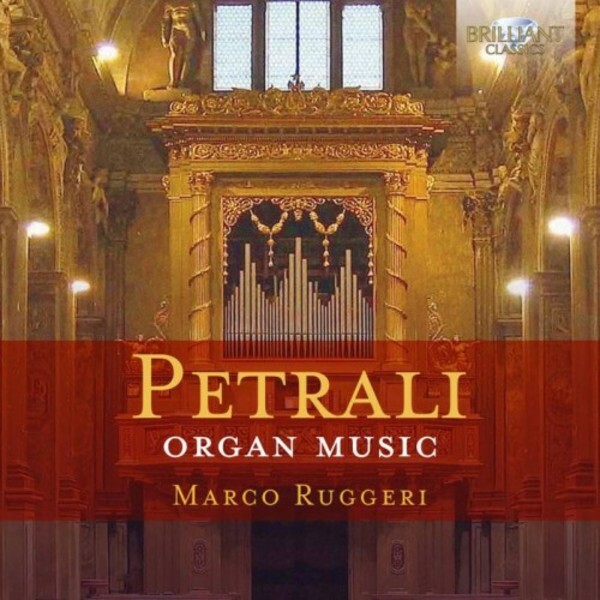 Petrali�s organ music is always characterised by great structural formality. His style evolved from a taste, in his early works, for orchestral-operatic elements, to music influenced by the reforms of the Cecilian movement, which sought to revive Gregorian chant in Catholic worship. The titles of many of his works link to the liturgy of the mass (Versets on the Kyrie and Gloria, Sonatas for the Offertory, Communion, Elevation or Vespers) but in reality these were concert pieces, in grand romantic style. The famous Italian organist Marco Ruggeri plays on two magnificent Italian romantic organs: the Serassi organ (1862) of Gottolengo, and the Lingiardi 'orchestral' organ (1877) in Cremona, instruments which Petrali himself knew intimately!